Singapore allows individuals with medical licenses, societies and organizations to start a dental practice. You can choose to register the dental clinic under a business entity; however, you will first have to register with the Accounting and Corporate Regulatory Authority of Singapore (ACRA). Rikvin specializes in the setting of businesses with ACRA. We can help advise you on the most suitable business structure for your practice. Once you have formed a business entity with ACRA, you will then apply for a license with CLB. 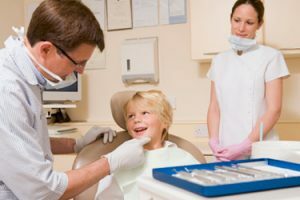 The procedure to set up a dental clinic is similar to that of a medical clinic. The application for Singapore business license and fees are to be made to CLB. Application will only be processed when the license fees and complete required documents are submitted. If you plan to have more than one branch for your dental clinic, you are required to file a separate application for each branch. MOH licenses each medical facility individually, and requires a separate license for x-ray laboratory. Each license is valid for two years. The dental clinic has to be issued a license by MOH to practice before you can start offering your services to the public. An important thing to note is choosing the appropriate name for the dental clinic. As of June 1, 2009, The name for any medical facilities cannot have the words ‘Singapore’ and ‘National’ without prior approval from MOH. If the existing space needs to be renovated to comply with the regulations , you will need to apply for a building work permit through Building and Construction Authority of Singapore (BCA). When the building works are complete, you will also need to obtain from BCA: a Certificate of Statutory Completion and/or a Temporary Occupation Permit before you can occupy the space. All renovation works are to be performed by certified or licensed contractors including architects. You will also need a Fire Safety Certificate (FSC) prior to occupying the building. You can obtain an FSC from Singapore Civil Defense Force through a registered architect or engineer. A business signage that is placed on the building will require an application of an Advertisement License from BCA. Rikvin is the leading authority in company incorporation in Singapore. We can help you incorporate your company with ACRA in less than 24 hours. Our comprehensive corporate services can provide you with a customized service that includes application for pertinent licenses and permits that you require to establish your medical practice. Ready to start a dental clinic in Singapore?